LONDON — A day before a critical meeting between the U.K. and the European Union on the future of their divorce agreement, the president of the European Council slammed those who encouraged Brexit without a plan on how to carry it out. 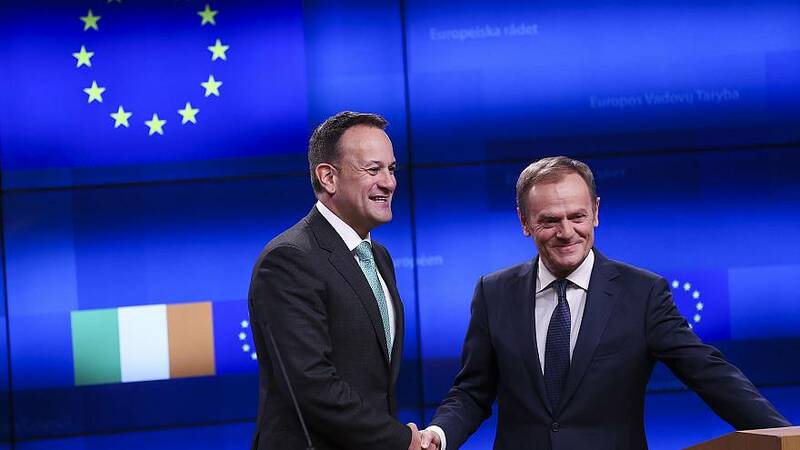 "I've been wondering what the special place in hell looks like for those who promoted Brexit without even a sketch of a plan how to carry it safely," European Council President Donald Tusk said at a press conference with Irish Prime Minister Leo Varadkar. They were strong words from a man who has long expressed his desire to find common ground for an agreement and a close future relationship with Britain. Since the U.K. voted to leave the E.U. in June 2016, the leaders of the 28-member bloc have expressed their hope that the U.K. change its mind. Tusk admitted Wednesday that this no longer seemed possible. "Today there is no political force and no effective leadership for remain. I say this without satisfaction but you can't argue with the facts," he said. British Prime Minster Theresa May is scheduled to meet with Tusk and European Commission President Jean-Claude Juncker in Brussels on Thursday to discuss a way forward on the divorce agreement. Last month, the deal she negotiated with the E.U. was crushed by members of Parliament, including more than one-third of lawmakers from her own Conservative Party. One of the main objections to the deal is an insurance policy of sorts known as the Irish backstop. It aims to prevent the reintroduction of a physical border between the Irish Republic, which will remain in the E.U., and Northern Ireland, which is part of the U.K. and will leave the bloc on March 29. For 30 years, starting in the late 1960s, the border was a front line in a conflict known as "The Troubles" that killed 3,600 people. Some fear Britain's plan to leave the E.U. could result in checkpoints being reintroduced there, which could potentially spur new violence. European leaders, however, have been clear that the Brexit agreement is not up for renegotiation. Tusk said that he hoped that May would come with "a realistic suggestion" on how to end the impasse. With just 51 days to go until the U.K. leaves the bloc, Tusk said that the E.U. 's most important task now was to prepare for "a possible fiasco" in which the U.K. departs with no divorce agreement and no arrangements for future trade. In a "no-deal" Brexit, the Bank of England has warned the country's economy could shrink by as much as 8 percent in about a year. Businesses, pharmaceutical companies and supermarkets have already started stockpiling goods. Supermarkets have also warned that fresh produce like lettuce and tomatoes may be difficult to get in the event a deal isn't reached, as much of their supply in March comes from the E.U. 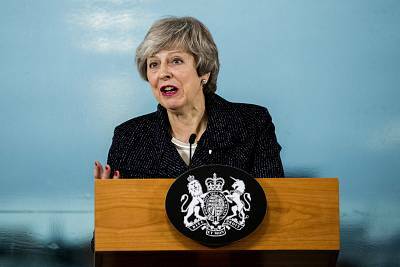 Should any agreement not win enough support from lawmakers in Parliament, the U.K. could potentially request to delay Brexit — or even decide not to leave. Will this protester be the only obstacle to Brexit talks in Brussels?